Young Latter-day Saints, shape up! Face up! Take hold of your lives! Take control of your mind, your thoughts! I speak to our children and our youth and ask that you tell your parents and grandparents to sit quietly and not disturb us for a few minutes while we talk. I want to pass to you something I learned from my brother which has been like a shield and a protection to me. I have spoken of it before, but not in the detail that I will today. I graduated from flight training and received my silver wings two days before my 20th birthday. Later I was stationed at Langley Field, Virginia, as copilot on a selected B-24 bomber crew trained to use a new secret weapon﻿—radar. My brother, Colonel Leon C. Packer, was stationed at the Pentagon in Washington, D.C. A much decorated B-24 pilot, he became a brigadier general in the Air Force. While I was at Langley Field, the war in Europe ended, and so we were ordered to the Pacific. I spent a few days with Leon in Washington before shipping out for combat. He told me of things he had learned under fire. He flew from North Africa on raids over southern Europe; very few of those planes returned. On April 16, 1943, he was captain of a B-24 bomber returning to England after a raid in Europe. His plane, the Yard Bird, was heavily damaged by flak and dropped out of formation. Then they were alone and came under heavy attack from fighters. With one engine on fire, the other three lost power. They were going down. The alarm bell ordered that they bail out. The bombardier, the only one able to get out, parachuted into the English Channel. The pilots left their seats and made their way toward the bomb bay to bail out. Suddenly Leon heard an engine cough and sputter. He quickly climbed back to his seat and coaxed enough power from the engines to reach the coast of England. Then the engines failed, and they crashed. The landing gear was shorn off on the brow of a hill; the plane plowed through trees and crumbled. Dirt filled the fuselage. Amazingly, though some were terribly wounded, all aboard survived. The bombardier was lost, but he probably saved the lives of the other nine. When smoke poured from the engines and a parachute appeared, the fighters stopped their attack. That was not the only time Leon had crash-landed. He sent me off to combat with that lesson. In the spring of 1945 I was able to test that lesson Leon had taught me those months before. The war in the Pacific ended before we reached the Philippines, and we were ordered to Japan. One day we flew out of Atsugi airfield near Yokohama in a B-17 bomber bound for Guam to pick up a beacon light. After nine hours in the air, we let down through the clouds to find ourselves hopelessly lost. Our radio was out. We were, as it turned out, in a typhoon. Flying just above the ocean, we began a search pattern. In that desperate situation, I remembered the words of my brother. I learned that you can pray and even sing without making a sound. After some time we pulled up over a line of rocks jutting out of the water. Could they be part of the chain of the Mariana Islands? We followed them. Soon Tinian Island loomed ahead, and we landed with literally seconds of fuel in the tank. As we headed down the runway, the engines one by one stopped. I learned that both prayer and music can be very silent and very personal. Now, while that experience was dramatic, the greater value of Leon’s lesson came later in everyday life when I faced the same temptations you young people and children face now. As the years passed I found that, while not easy, I could control my thoughts if I made a place for them to go. You can replace thoughts of temptation, anger, disappointment, or fear with better thoughts﻿—with music. I love the sacred music of the Church. The hymns of the Restoration carry an inspiration and a protection. I know also some music is spiritually destructive; it’s bad and dangerous! Young people, leave it alone! Young people, the voice of the Spirit is felt rather than heard. You can learn when you are very young how the Holy Ghost works. When you learn to control your thoughts, you will be safe. One man I know does this: Whenever an unworthy thought tries to enter his mind, he brushes his thumb against his wedding ring. That breaks the circuit and for him becomes an almost automatic way to close out unwanted thoughts and ideas. I can’t refrain from telling you one other thing about that visit with my brother in Washington. He was to take a B-25 bomber to Texas to pick up something and return to Washington the next day. I went with him. That was the only time we flew together. Many years later I was honored by Weber State University, where we both had graduated. He had been a student body officer during his college days. Because I would be in South America, he agreed to attend the banquet and accept the award in my behalf. Well, Leon made it. He is now where I hope one day to be. Young Latter-day Saints, shape up! Face up! Take hold of your lives! Take control of your mind, your thoughts! If you have friends that are not a good influence, make changes, even if you face loneliness, even rejection. If you have already made bad mistakes, there are ways to fix things up, and eventually it will be as though they never happened. Sometimes guilt controls our minds and takes us prisoner in our thoughts. How foolish to remain in prison when the door stands open. Now, don’t tell yourself that sin really doesn’t matter. That won’t help; repentance will. Take charge of yourself. How wonderful to be a young Latter-day Saint in this wonderful, challenging time. You can do it﻿—you must do it. Our future depends on you, our children and youth. Well, that’s the advice I pass on to you. Now wake up your parents, and tell them that you have learned a way to help yourself be perfect. Perhaps you won’t be quite perfect, but you can come close enough. You young people will get close enough to perfection to have a life that is filled with challenges and troubles, with inspiration and happiness and eternal joy. May God bless you. Already you sang to us, “I know who I am. I know God’s plan.”9 Someday you can bear your testimony to your grandchildren, and they to theirs, and they to another generation, and another. You look ahead to a long life, to the long, long future before this Church, before the children and youth, before all of us as Latter-day Saints. And I bear witness to you, our youngsters, that Jesus is the Christ, the Son of God. As a grandfather, and as a great-grandfather, I know how much we love you. I tell you how much we love you, how much you are loved in this Church, and invoke the blessings of the Lord upon you as you face the wonderful life before you as young Latter-day Saints. This I do as a servant of the Lord and in the name of Jesus Christ, amen. See Gerald Astor, The Mighty Eighth: The Air War in Europe Told by the Men Who Fought It (1997). Author unknown, “All the Water in the World,” in Best-Loved Poems of the LDS People, ed. 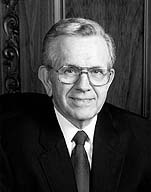 Jack M. Lyon and others (1996), 302. Louisa May Alcott, “My Little Kingdom,” Louisa May Alcott—Her Girlhood Diary, ed. Cary Ryan (1993), 8–9. “The Church of Jesus Christ,” Children’s Songbook, 77.